It started like it almost always does … at the supermarket. And going “oh, look – lamb livers! 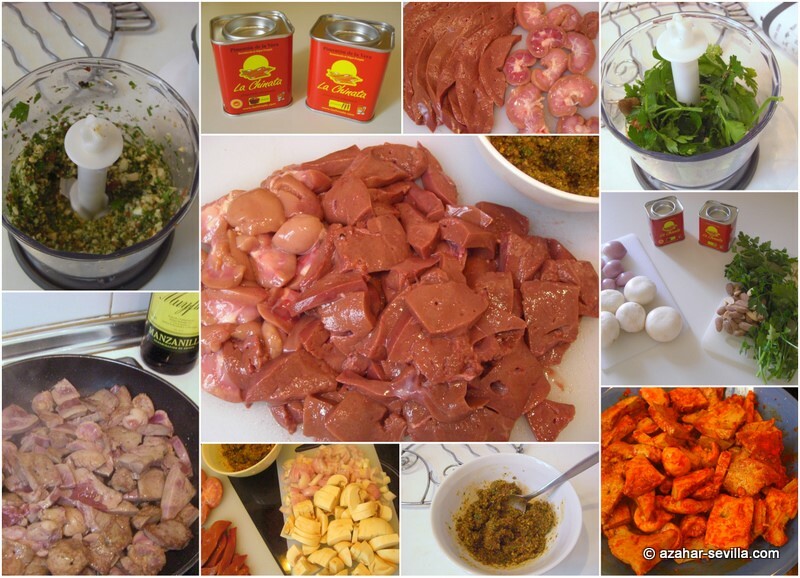 Gee, I’ve never made lamb livers before.” And then discovering that a fab sounding lamb liver recipe recommended by a friend also included lamb kidneys … which meant a trip over to special local butcher, and then buying some kidneys for three times the price of the livers (wtf? ), but okay. I had the ingredients. More or less. It also ended up like it almost always does … with me taking one or three recipes and doing a mix & match thing. And so this one comes from WeeRascal’s recommendation combined with a couple of Janet Mendel’s recipes for lamb liver… and you know, it was sooooooooo good.